Wednesday 11 October, 3.30 to 5pm, Palace of Westminster. 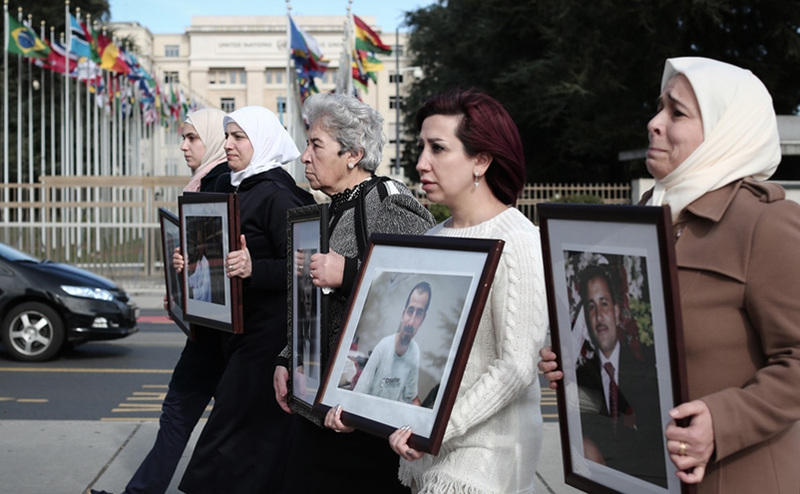 The All-Party Parliamentary Group on Women, Peace and Security and the All-Party Parliamentary Group Friends of Syria invite you to meet Families For Freedom, a women-led campaign for the rights of detainees in Syria, and to discuss what the UK can do to help Syria’s disappeared. We will be joined by women of Families For Freedom during their visit to the UK, as well as by speakers from Amnesty International UK and the Women’s International League for Peace and Freedom, WILPF. The meeting will be chaired by Baroness Hodgson of Abinger, co-chair of the APPG on Women, Peace and Security. Across Syria, more than 100,000 Syrians have been arbitrarily detained and forcibly disappeared. The great majority of people are detained by the Syrian regime, but armed opposition groups and extremist groups like ISIS are also guilty of detention and disappearance. Most Syrian detainees are nonviolent people who have never picked up a weapon. Tens of thousands of children have been detained in Syria, some alone and some with their mothers. Detainees face abuse, torture, starvation and extremely difficult living conditions. Detainees don’t suffer alone, their families suffer too. Monday 9 October, 6.45 to 9pm, Human Rights Action Centre, London EC2A 3EA.